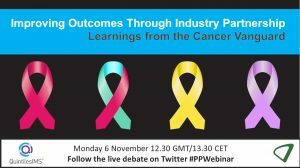 A unique example of partnership working across the health system, focusses on the service at large, not just the pill, and uses leading-edge data analytics to analyse, benchmark and visualise the current state of the cancer pathways within the Cancer Vanguard Trusts. Furthermore, it encompasses multiple aspects of the service provision ranging from patient outcomes and experiences, the flow of treatment and the usage of medicine in order to inform an evidence-based and patient-centric approach to service redesign and resource optimisation. Significant unmet need still remains in the rare disease market, only around 5% of rare diseases currently have an approved drug treatment. This represents a major opportunity for the pharmaceutical industry. 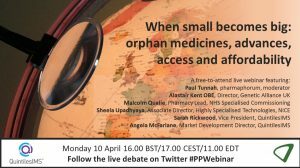 Our webinar will assess the critical factors underpinning success in the rare disease space and provide a view into the future of market access and health technology assessments for orphan medicines – alongside the impact on R&D and clinical trials – in the context of Brexit negotiations. 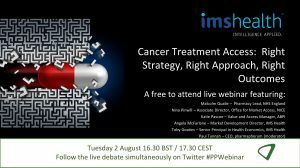 Available on demand: A one-hour live debate on Cancer Treatment Access: Right Strategy, Right Approach, Right Outcomes. 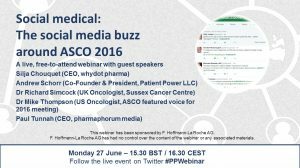 Join us for a one-hour live webinar discussing the social media buzz around this year’s ASCO Annual Meeting.